Ploughed fields in the San Luis Valley. Center pivot irrigator, and beyond spring snow pack on 14,000 foot Blanca Peak along with the Crestone Peaks of the southern Rocky Mountains, Colorado. Blanca Peak Range in the Rocky Mountains. 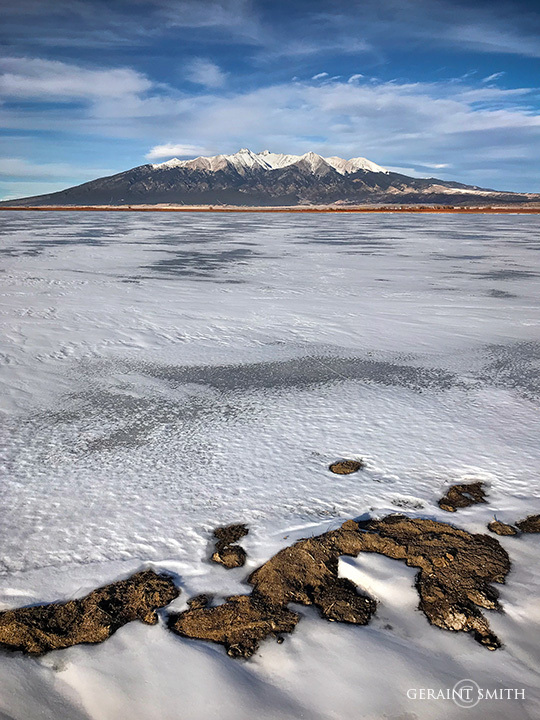 These mountain peaks dominate the San Luis Valley in southern Colorado and can be seen from the Rio Grande Gorge bridge on a clear day, about 75 miles to the south. I made this image on a trip to San Luis and Fort Garland yesterday after the heavy overnight snowfall. Thanks for looking.